First Clues: Mysteries for Kids. 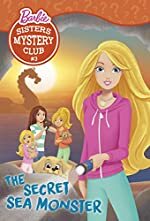 Thank you for visiting First Clues: Mysteries for Kids, your source for mystery series books for children and young adults. Select your favorite mystery series from the categories above. To help you decide which series may be most appropriate for your child, we've sorted the mysteries on this site by broad age ranges: New Sleuths (ages 4 to 6), Junior Sleuths (ages 7 to 10), Cadet Sleuths (ages 10 to 12), and Apprentice Sleuths (ages 13 and older). 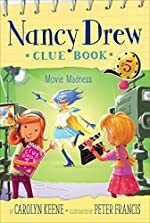 Movie Madness by Carolyn Keene. Nancy Crew Clue Book. The Secret Sea Monster by Tennant Redbank. Barbie Sisters Mystery Club. 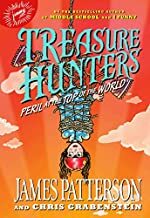 Peril at the Top of the World by James Patterson and Chris Grabenstein. Treasure Hunters.